The Literary Bunny is a blog about books, reading and other bookish related issues and will contain reviews and more. I try to blog frequently but since the blog mostly consists of reviews, I need time to actually read the books before I can post about them. The name comes from the bunnies I used to have. At some point, their favorite spot was on a bookshelf, between two rows of books. They used to nibble the book so suddenly we discovered that parts of books had gone missing because the bunnies had been munching. Try explaining that when you hand in a library book! Anyway, bunnies are some of my favorite animals and even though I don’t have any at the moment, it still felt right to use this as the name for my blog. I’ve been an avid reader since I was very young and read somewhere from 50-100 books a year – mostly fiction, but also a bit of non-fiction and biographies. In fiction I prefer contemporary novels, fantasy and classics but I still read a lot of other books as well and I don’t shy away from graphic novels and even manga. I have a master degree in Philosophy. Therefore, a bit of philosophy will appear from time to time. A summary of my master thesis with the title ‘I collect, therefore I am’. The collection as an example of the human relation to the material reality can be found here. Also, since I’m from Denmark, I’ll try to do some posts about Danish literature – I haven’t been doing very good with this so far but I hope to be a little better. I do prefer reading in English (and it would be silly to read Danish novels translated to English) so I’m not sure how many I will read but I will try to do at least a little bit. I find China, Chinese history and culture, so very interesting so I’ve started reading novels taken place in China or by Chinese authors. I hope to do even more with this in the future. Wow.. I love the depth of your reviews. As an English Lit student I find the depth you go into and the sheer amount of books you read (I mean 50-100 in a year is incredible!) Keep it up, I’m looking forward to the next one! Hi, Skippy Dies is on my ‘to-read’ pile and I’m eager to start it. How is it so far? I’m almost done with it and I really like it. It gets better and better as it moves along. I’m hoping to finish it tonight and hopefully get a review written this weekend. I do find it kind of a hard book to review though. So much going on. Sorry that I didn’t notice that before. I’m new here, but intrigued by the eclecticism (word?) of your reads. Hope you don’t mind if I follow along. For a while I thought I’d go the philosophy path in college, but my path diverged somewhat. Your thesis sounds interesting…I’ll try to take a look when I get a chance. Welcome Neal – Please do follow along. If you get the chance check out my thesis, let me know what you think. My Bears are now really annoyed that I didn’t call my blog after them. I shall have to find someway of mollifying them. Your Bears? Curious! And yes, you will probably need to find a way – maybe reading to them and offering honey? I share my house with a great many Bears, some even older than I am. They have honey with their porridge every morning, but their real treat is marmalade sandwiches, which they are only allowed on their birthdays. And they are read to daily. I’m not one to point a finger (says the girl with the pink poodle sitting on her night desk). It sounds like your Bears have quite the life – even though your blog is named after them, they shouldn’t complain. Those naughty bunnies! Your thesis has such an interesting topic, I will have to make some time to have a look at it. The onyl Danish writer I’ve read is Peter Hoeg and I really love his work. I had some bunnies myself when I was younger–they weren’t the literary kind, but they were still soft and cuddly when I was reading. P.S. Even though you’ve received this award earlier, I’d still like you to accept it. Just stopping by to say Hi! Thanks for signing up for #winditup2013! It will be a lot of fun. I love that you included a Murakami quote in your header and I am very interested in your thoughts on Flame Alphabet. I’ve had that one on my shelf for a while but haven’t gotten to it yet. Cheers! I also love books about Chinese culture, so much so that I wrote my MA English Lit dissertation on two books by Chinese-American writers. I haven’t actually read one in quite some time though, so I’m hoping you’ll be able to open my news to new literature based in/around China! Thanks for visiting my blog, Christina. Love your ‘About Me’ page. Love the name of your blog and enjoyed reading about your favourite literary genres. Nice to know that you love Chinese literature and culture. Looking forward to reading your reviews. Happy reading! 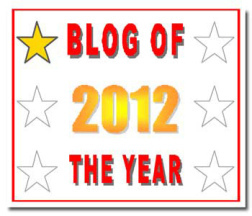 Your blog is excellent! I love the header image of a bookshelf! All good reading.